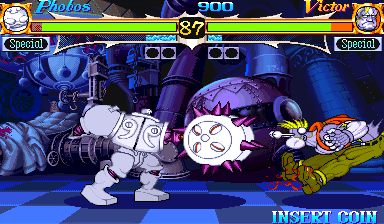 OverviewThe second installment of the Darkstalkers franchise adds two new characters while refining the story and refining the gameplay (including an improved "super meter" system). Now you can add videos, screenshots, or other images (cover scans, disc scans, etc.) 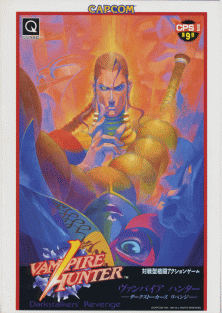 for Vampire Hunter: Darkstalkers' Revenge (Japan 950307) to Emuparadise. Do it now!